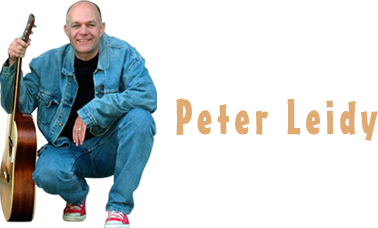 Whether it is a keynote speech, workshops, singing his humorous “human serviceland” songs, or all of the above, Peter often presents and performs at conferences. Ask him about coming to YOUR conference! Peter has made two videos for training/conversations, as well as 5 CDs of human serviceland music. You want these resources! The videos are used to prompt conversations about what quality support can look like, and ways we can avoid setting people up for difficult behavior and crises. The songs celebrate people he has known, point out the ways the system can let people down, and seemingly random things like bowels. Be sure to check out what a good deal the “bundle package” is! 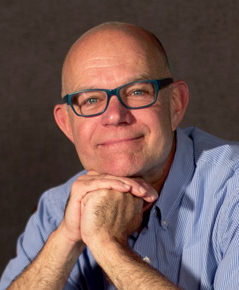 Improve morale, listening, brainstorming, communication & creativity at Accept Every Offer with Peter Leidy. 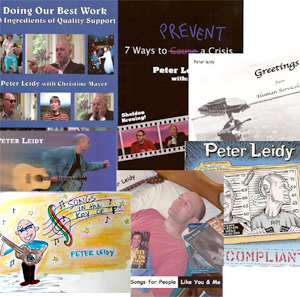 New page to watch Peter Leidy videos. Like my Facebook page, will ya? “Where’s Pete?” check the schedule page. You might want to order music and videos as a BUNDLE! Call or email Peter to discuss how he can put his skills to work for you.